Are you as geeked up about the new Star Wars movies as we are in The Mad House? I know there are plenty of people who are nervous about changes to the franchise, but, man, those trailers look AWESOME. With only a few months left until the film is released in theaters, some blogger friends and I are passing the time by making some Star Wars inspired crafts. 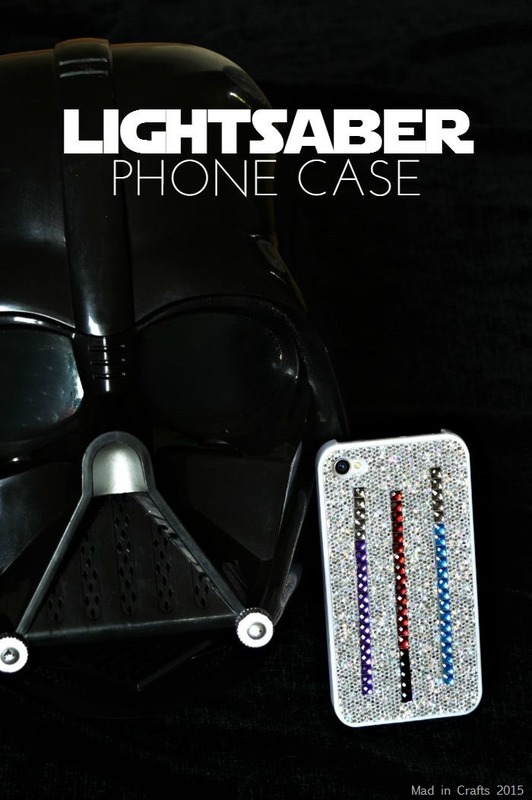 I found this glittery phone case at a dollar store and thought it would make a fun base for a sparkly Star Wars update. This is a stupidly simple DIY that you can do in minutes. Watch the video below to see how I did it. If you haven’t already, be sure to pop over and subscribe to my YouTube channel for more content like this. If you would like more Star Wars fun, check out my Star Wars project gallery here! Then pop over and visit these other great Star force-tastic projects.